With winter on the horizon, it’s time for homeowners to prepare for heavy snowfall. One of the most common injuries related to winter weather is general back pain as a result of having to shovel snow. If you’re concerned about your back and neck, embrace the tips below to ensure you avoid physical issues as a result of shoveling snow. When snow impedes your ability to operate your vehicle or walk on sidewalks, it’s natural to feel a sense of urgency to shovel a path. That being said, moving too quickly in these conditions can result in muscle strain or slip and falls due to weather conditions. Pace yourself so you avoid injury. If you have a heart condition, avoid caffeinated beverages and other stimulants that increase your heart rate before picking up your shovel. Warm muscles work better and the added elasticity will protect you from straining yourself. Before braving the cold to shovel your driveway and sidewalk, take the time to dress appropriately in warm layers, a hat, gloves, and sturdy boots that provide traction and that will keep your feet dry. Right before heading outside, stretch so your muscles are loose and ready. To avoid unnecessary back pain, grip your shovel with your hands apart so you always have leverage. Maintain good posture and the natural curve of your spine as you move snow around. Instead of bending at the waist, squat with legs apart and knees bent when you shovel. In addition, do not overload your apparatus. Move manageable loads so you don’t wear yourself out. 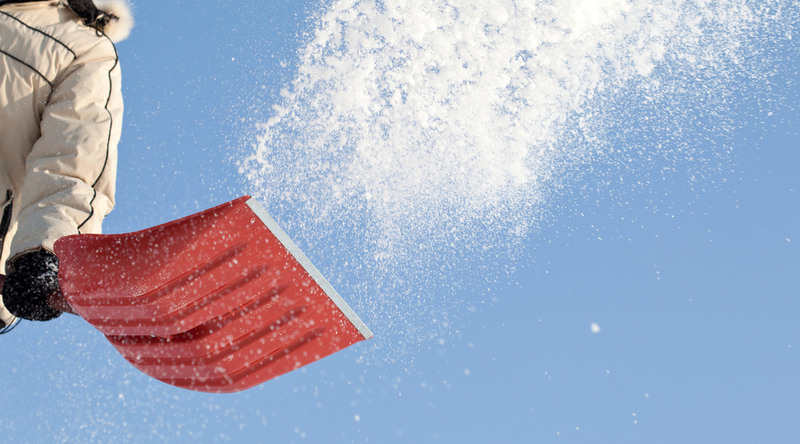 Most importantly, stop shoveling right away if you’re experiencing neck pain or back pain. While it may be disconcerting to stop halfway through your shoveling project, your health and well-being take precedent. Call a chiropractic clinic right away for an adjustment and pain relief assistance. North Pole Chiropractic, led by Dr. Jack Harrison D.C., is known throughout Alaska for providing patients of all ages with pain relief using safe, effective chiropractic adjustments. If you’re experiencing neck pain, back pain, or muscle strains due to shoveling snow, physical activity, or an auto accident, call this trusted clinic today at (907) 488 -1885 to schedule your first appointment. For additional insight on the comprehensive services this practice provides and their convenient location 14 miles outside of Fairbanks, visit their website.